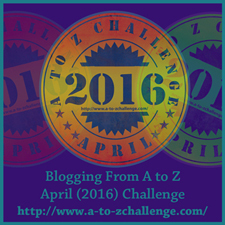 A tiny post from me for SoCS as I was a little busy with the A-Z Blogging Challenge. Didn’t want to not do it though, so here’s my humble offering! Your Friday prompt for Stream of Consciousness Saturday is: “ha.” Use it as a word, or find a word that starts with those two letters. Enjoy! It’s funny how the letters, ‘ha’ start words with contrasting meanings. Take ‘hateful’ and ‘happy,’ for example. H and A put together sound very different in these words and suggest very different things, but written down they are identical. The sound, ‘ha’ in ‘happy’ is an open, almost joyous sound reflecting the meaning of the word. Having said that ‘ha’ can also be used sarcastically as in ‘ha, told you so.’ In this phrase ‘ha’ has a kind of smugness to it. When using whatsapp, I often write ‘haha.’ I prefer it to ‘hehe’ or ‘lol’ as, in my opinion, it seems more similar to a genuine laugh, although I do find that ‘ha’ is the kind of word that needs to be voiced in order for the meaning to be properly understood. Hadn’t thought about the connotations of ‘Ha” in terms of the words it contributes to. I avoid using “lol,” too. 🙂 Haha seems much more genuine.